So you’ve had your annual planning meeting with your managers and Board of directors. Goals and strategies have been decided on and written down for what could be the best year of business so far. However imagine everyone’s disappointment when the next year rolls around and little that was planned out was ever actually implemented. 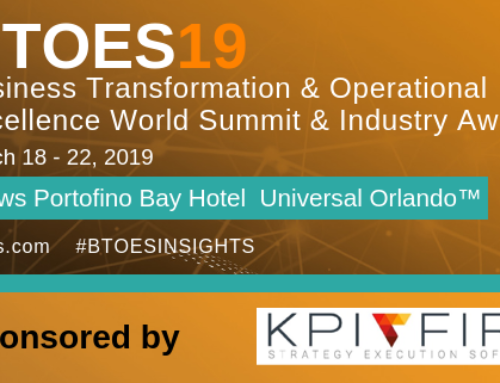 To make sure your goals and strategies do not solely stay on paper, it is vital to make sure your company’s operations and departments do align with agreed upon strategies. 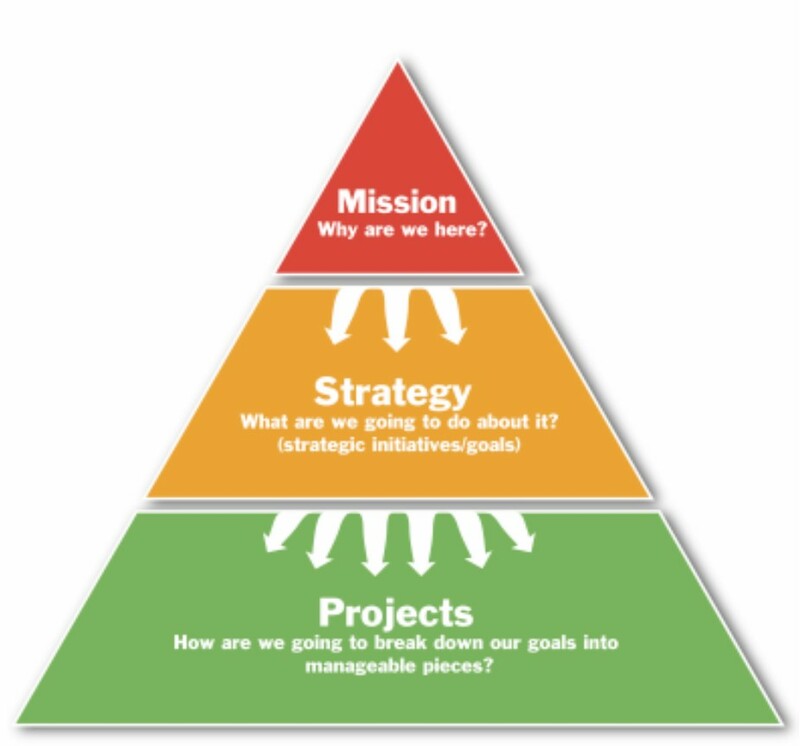 In order to be able to communicate our goals to different parts of the company, we need to accurately define our mission, strategy and projects, and make sure they connect to each other. Define our mission. Ask ourselves: Why are we here? This statement can be rather broad but should direct the rest of our company’s actions. Define our strategy: What are we going to do about it? Or in other word what are our strategic initiatives/goals? 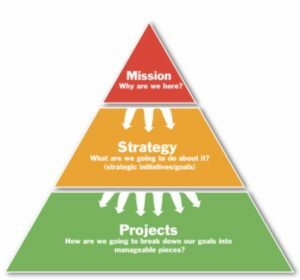 Formulate projects to carry out those strategies by asking: How are we going to break down our goals into manageable pieces? 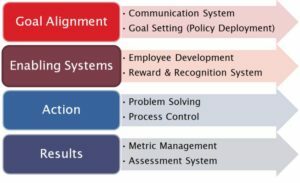 Enabling systems can be divided into employee development and systems to reward & provide recognition to such employees. This section incorporates the ideas of leadership development. Systems are the actions, processes and procedure carried out daily by organization to accomplish intended tasks. 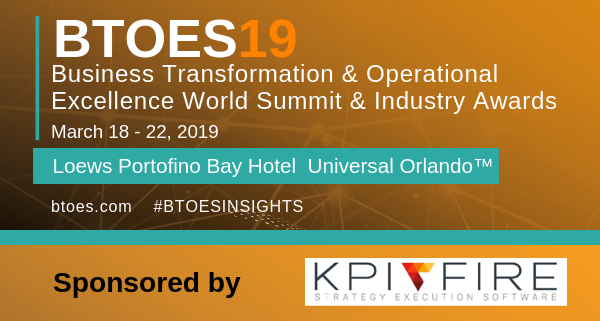 Enabling systems are identified by management by asking the question, What systems would make achieving the desired outcome of a strategy easier? 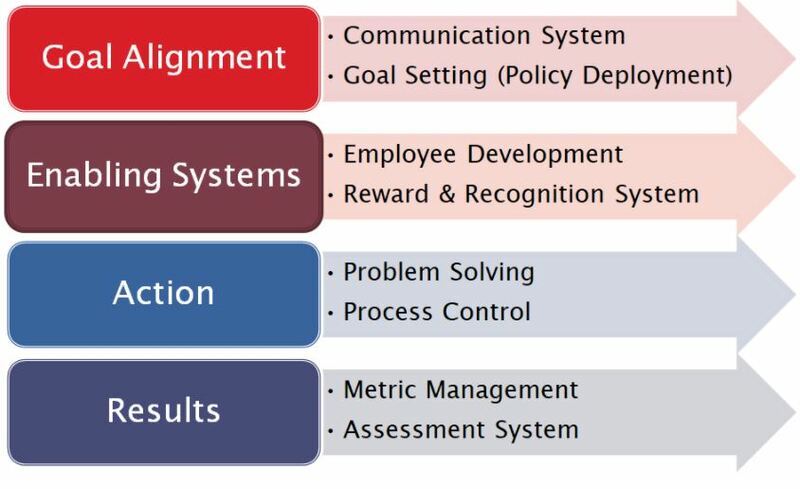 These identified systems are those that will enable efficiency in accomplishing goals, and should be reinforced in employees through appropriate recognition. 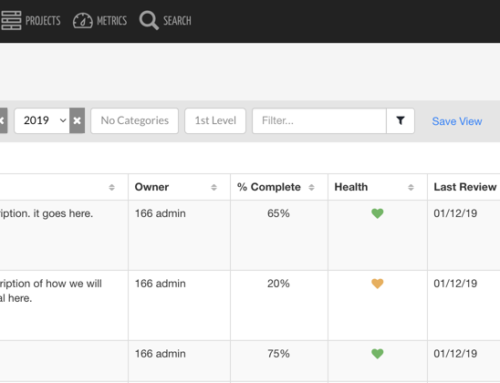 KPI Fire is an example of an enabling system that provides this needed piece of the puzzle. The action step is focused on problem solving and process control, and is where project management is the primary activity. When deciding where to act, it is important to primarily work on those projects that will move you closer to your goals and objectives. Many of these projects will be those that will integrate the enabling systems, mentioned previously, properly. 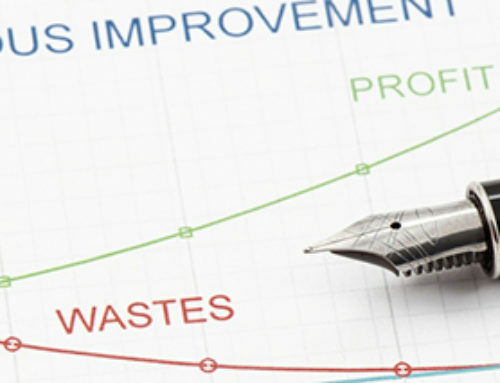 To incorporate process control, it is important to review and evaluate progress to make sure all project operations are in conjunction with overarching goals and strategies. Finally, it is important to work to create an environment of accountability, both personally and company-wide. Results are shown through proper metric management and assessment systems. These are the means to determine how well your company’s projects have reflected the initial goals and strategies. To evaluate your results you must review related performance metrics to determine if they met your set goals. While these metrics are vital in assessing the success of project in relation to goals, it is also important to assess the development of each employee. This is done effectively through having each employee on a project perform a self assessment to determine if their specific behavior and work habits contributed the necessary amount to the project metrics. 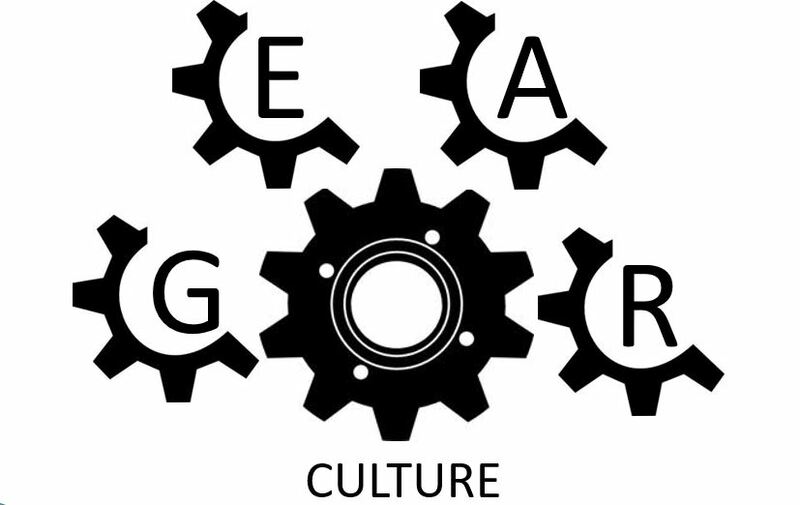 After following all four steps of the GEAR model the intended result is a change in culture. The culture of an organization is the combination of everything that is said, thought, and done, that defines who the organization is and how it performs. When the GEAR model is followed and effectively repeated, it ingrains continuous improve and operational excellence into the culture of a company. The best way to carry out this process is with KPI Fire. KPI Fire provides visual representation of Goals, Metrics and management of projects to implement the GEAR ™ Model for Operational Excellence.